The Acessa procedure utilizes a technology called radiofrequency ablation, and treats each fibroid by applying energy through a small needle array. The surrounding normal uterine tissue is not damaged or otherwise affected. Over time, the treated fibroid tissue shrinks and may become completely reabsorbed by the body. Acessa is performed under general anesthesia, and only two very small (approximately a quarter inch”) abdominal incisions are needed during the procedure – there is no cutting, suturing or removal of the uterus itself. Have a question about Acessa? Contact Dr. Lee. The laparoscopic ultrasound probe is used to determine the location and size of all fibroids present. Intra-abdominal ultrasound allows excellent visualization of fibroids as small as 2 mm in diameter. The Handpiece tip is advanced into the fibroid with ultrasound guidance. The electrode array is deployed. Laparoscopic and ultrasound evaluation confirm that the electrodes remain within the fibroid. The appropriate duration of ablation is determined, the treatment is applied, and any bleeding is controlled as the Handpiece is withdrawn. Women with symptomatic uterine fibroids endure heavy menstrual bleeding, painful menstruation, abdominal distension, pelvic pain, and urinary frequency. Symptoms often worsen over time, leading to deterioration in quality of life and loss of normal function. For many, major surgery (hysterectomy) becomes the only option offered by physicians. Now there is another option. The FDA-cleared Acessa procedure invented by Dr. Bruce Lee provides a safe and effective minimally invasive solution that allows rapid recovery, low rate of recurrence, minimal postoperative pain, and in all but the most extreme cases, eliminates the need for hysterectomy. Contact Dr. Lee and ask him how Acessa will change your life. While over 7 million U.S. women suffer from symptomatic fibroids, only ~ 300,000 choose to undergo a therapeutic procedure. That means that patients would rather suffer with fibroid symptoms rather than undergo one of the procedures offered. Acessa is a minimally invasive solution that prevents removal of the uterus and yet is very effective at treating all the symptoms produced by fibroids. A surgeon skilled in Acessa can treat any type of fibroid in any location. Multiple fibroids can be treated in one setting. Only two small incisions 1.0 and 0.5 cm are needed with one hidden in the umbilicus. Recovery is rapid, often only several days. Most patients require only minimal pain medications if any at all (anti-inflammatories) and most return to work within 4 days. The recurrence rate in patients treated by physicians new to Acessa was cumulatively only 11% at 3 years after the procedure. Most physicians tell their patients to endure their fibroid symptoms whenever possible to avoid the risk, pain, and recovery time of major surgery. Fibroids then continue to grow (usually) and symptoms worsen to the point where waiting is no longer possible. Hysterectomy (removal of the uterus) is then usually offered. With Acessa now an option, women with fibroids no longer have to suffer. Doctors have a new outpatient, low risk, highly effective procedure to offer their patients . . . one that allows them to “get their life back”. Schedule a consultation with Dr. Bruce Lee, and find out how Acessa™ will change your life. I woke up from surgery without pain. I cried because I couldn’t remember being that happy since before fibroids took up residence in my uterus. Acessa™ is the new standard for treating women with fibroids.  Stay up to date on the latest news from Dr. Bruce Lee and his ground breaking procedure.